Canadian teen heartthrob Justin Bieber will return to Canada later this month to tape an exclusive 30-minute holiday special for MuchMusic and CTV. 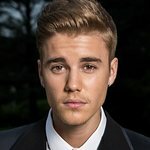 MUCHMUSIC PRESENTS JUSTIN BIEBER: HOME FOR THE HOLIDAYS premieres in a super yuletide event Thursday, Dec. 22 on both MuchMusic (6 p.m. ET/PT) and CTV (7:30 p.m. ET). In the all-new special, Justin performs hits like “Mistletoe” and “Baby”, as well as his favorite covers and Christmas classics. The special’s acoustic set will be taped at a secret concert in Toronto later this month. Details about the show, including ticket information and location will be announced in the coming weeks. All proceeds from the concert will benefit Justin’s BELIEVE charity drive.